If you see a dog with a YELLOW ribbon, bandanna or similar on the leash or on the dog, this is a dog which needs some space. Please, do not approach this dog or its people with your dog. They are indicating that their dog cannot be close to other dogs. How close is too close? Only the dog or his people know, so maintain distance and give them time to move out of your way. • Maybe it has health issues or is in training. • It may be a rescue dog being rehabilitated. The world can be a very scary place for these dogs. In short, a yellow marker on a dog means it needs a some space. Thank you! Those of us who own these dogs appreciate your help and respect. The yellow sign is an accessory. 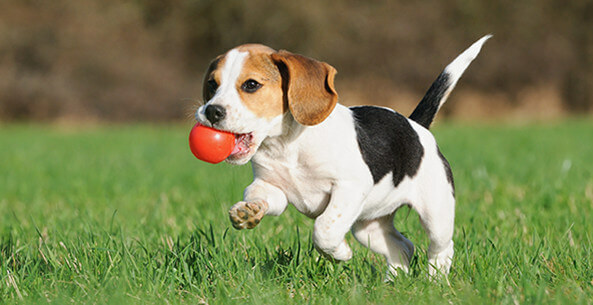 Not a piece of a dog equipment, such as reflective harness, collars, etc. If using that, we recommend that you use the yellow sign on the leash too. You have always the responsibility to train your dog. 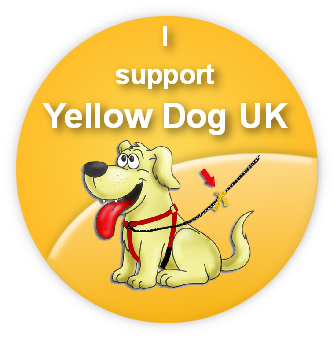 The yellow sign is a help to make your dog succeed and make your training progress. Some dogs may have a sign for those training sessions. A few may have traumas that makes it hard for them to cope with things for the rest of their lives. If a dog has problems we recommend you to contact a good ethical Dog trainer - Documented trained in Dog Ethology. GFS offers new experiences and opportunities to girls and young women that may not have otherwise been available to them at school or at home. GFS aim to help them to gain new skills, pursue their aspirations and to grow in confidence and self-esteem. In order to do this, they offer a safe, single-gender, non-judgemental environment where girls and young women can explore their feelings and ideas and enhance their personal development. 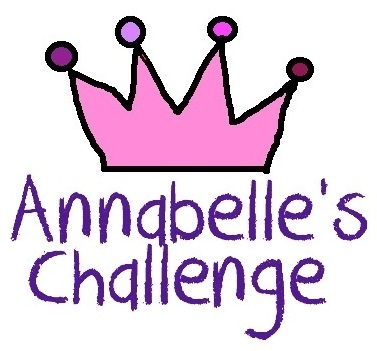 Annabelle's Challenge is a UK registered charity raising awareness of Vascular Ehlers-Danlos Syndrome (vascular EDS) to the general public and medical profession to help aid an early diagnosis and prevent misdiagnosis of vascular EDS and to support children and adults who are affected by the condition. Vascular EDS affects children, men and women of any race or ethnic group. The exact incidence of vascular EDS is unknown. However, medical literature suggests 1 in 250,000 of the UK population may have vascular EDS and it may be even more prevalent. It is a rare genetic condition and therefore many health professionals will not have seen someone with this diagnosis. The diagnosis of vascular EDS carries with it the life threatening risks of blood vessel and organ rupture, sometimes in childhood. The clinical features typical of vascular EDS may be subtle or absent, making diagnosis difficult particularly where there is no positive family history. Sudden death in the third or fourth decade of life can be the presenting feature. Natureland is well known for rescuing and rehabilitating orphaned and injured seals that become stranded on Lincolnshire beaches. Visitors can see the various stages of their rehabilitation and hear about the rescue work at feeding times, there is a Seal Hospital where they treat and rehabilitate Seals which may have become stranded or orphaned! There are lots more beautiful and amazing animals.Watch the amusing antics of the penguins, be amazed by the tropical butterflies, squirm at the reptiles and creepy crawlies, feed the goats in the Pets Corner and marvel at the beautiful tropical fish in the Aquarium. They have also been awarded a Certificate of Excellence by TripAdvisor!